Dr. Gayanne DeVry brings to the Brilliant Smiles over 40 years of comprehensive dentistry with an art and education background. She loves what she does. Dr. DeVry has hands-on expertise in advanced cosmetic smile enhancements, including periodontal health, implant restoration, and Invisalign. The artistically talented and personable Dr DeVry graduation from the highly esteemed Tufts School of Dental Medicine in Boston after working as a freelance medical illustrator for 6 continuous years, illustrating over 12 medical and dental textbooks in Boston following her graduation from Northwestern. She obtained a Masters Degree in Education concurrently with her dental degree from Boston University specializing in Educational Media Design. While at Tufts, she won one of 55 national Public Health Scholarships which allowed her to serve in the Indian Health Service for three years at Zia Pueblo outside of Albuquerque. She describes this as “one of the happiest times of my life.” Dr. DeVry worked clinically on the reservation and was the national editor and designer of educational curricula for dentists in the Indian Health Service nationwide . She then moved to Seattle as an Associate Professor of Restorative Dentistry. 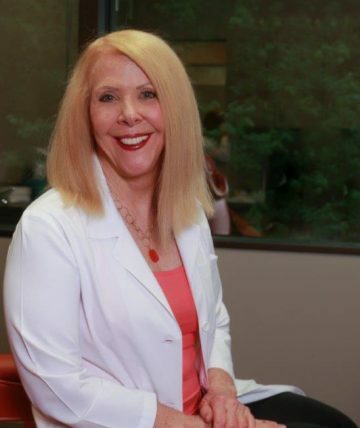 Dr. DeVry is active in various professional dental organizations, spiritual programs, cancer outreach charities, and loves working with the team at Brilliant Smiles, spending time with her adult son, Dylan, and living serenely near nature, traveling, jumping on her trampoline, and swimming to stay fit and remain physically and mentally young.